Zuckerberg Files: Mike Zimmer's archive of Facebook CEO statements is set to "private." 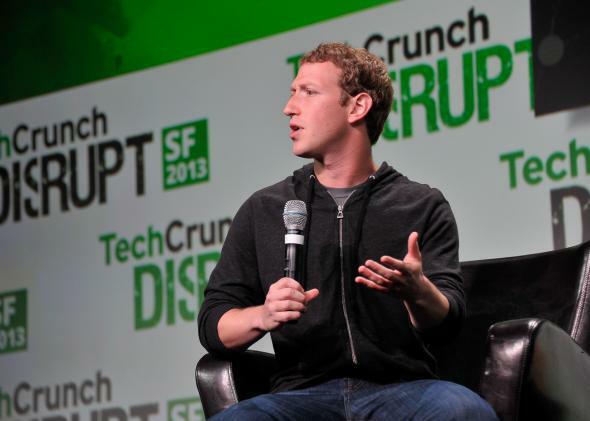 The Zuckerberg Files are open-access, but you have to be a “scholar” to view their contents. It includes transcripts and bibliographic data of all publicly-available content representing the voice and words of Zuckerberg, including blog posts, letters to shareholders, media interviews, public appearances and product presentations, and quotes in other sources. The archive is meant to help researchers make sense of Facebook’s role in privacy and social-media ethics debates, Zimmer explains. “By gaining a better understanding of how Facebook’s founder and CEO conceives of his own company’s role in the policy and ethical debates surrounding social networking, we will be better suited to critically engage in a dialogue on privacy and Facebook, inform design and policy recommendations, and increase user awareness and literacy,” he wrote in his Huffington Post op-ed. Sounds like a noble endeavor for a man deeply concerned with online privacy. There’s just one catch: Zimmer is so committed to respecting restrictions on information-sharing that he has effectively set the contents of the Zuckerberg Files to “private.” The average person can see a list of titles and other metadata for the transcripts and videos, but to actually view them, you have to be a “scholar” conducting research in a relevant area. Otherwise you’ll have to look them up yourself elsewhere. Zimmer says that’s in accordance the “Code of Best Practices in Fair Use for Scholarly Research in Communication,” which recommends this practice for open-access repositories in cases where some of the information is copyrighted. You could certainly applaud Zimmer for his ideological consistency here. And perhaps he doesn’t have a choice, legally, although it’s hard to see whom it would hurt to at least include some more prominent links to the source material. Really, I’m not blaming Zimmer at all. And yet it’s hard to shake the feeling that there’s something a little off-putting—you might even say elitst—about creating a trove of useful information and then limiting access to people with fancy degrees and institutional affiliations. In an odd way, the access restrictions on the Zuckerberg Files actually underscore the values of openness (or publicness, if that’s a word) that Zuckerberg and Facebook have long espoused. Facebook’s publicly stated mission, remember, is “to give people the power to share and make the world open and connected.” (Yes, I’m telling you that for free, regardless of whether or not you’re a “scholar.”) The company has angered and hurt a lot of people in pursuit of that goal, and it has often pursued it in selective and self-serving ways. There are also good reasons for some copyright restrictions. That said, a world in which educational information is locked away in silos for the privileged few based on privacy and intellectual-property restrictions doesn’t hold a ton of appeal either—as Zimmer’s project inadvertently demonstrates.